With all of the major highways and interstates that run around and through Smyrna, accidents do happen here quite frequently. If you’ve been injured in an accident in or around the Smyrna, GA area, then you need a personal injury lawyer who will fight to get the results you deserve. While your insurance company will tell you they have your best interests at heart, this simply isn’t the case. After all, the insurance companies make more money when they pay you less! We know because we used to work for insurance companies, but now we ensure our personal injury clients don’t get bullied by them! 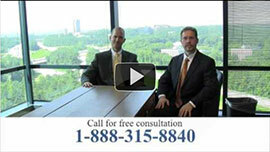 Why Choose our Personal Injury Lawyers? Unlike large law firms where you are just a case number, our small, two-man operation is designed to make sure each and every client gets the individual attention he or she deserves. We meet with our clients in person and work hard to get results (just take a look at our six-, seven-, and even eight-figure case results here). At Link & Smith, P.C., Mark Link and Houston Smith provide clients with world-class legal counsel with a personal touch. If you have been injured in an accident (see common types of injury cases we take here), and feel the insurance company is not fighting fair, then we encourage you to contact us here or call us at 770-884-2878 today!